This documentation is written for Python ≥ 3.5. If you’re using Python 3.4, you will have to adapt the code samples. This section assumes Python ≥ 3.5. For older versions, read below. Here’s a WebSocket server example. It reads a name from the client, sends a greeting, and closes the connection. On the server side, the handler coroutine hello is executed once for each WebSocket connection. The connection is automatically closed when the handler returns. Here’s a corresponding client example. async and await aren’t available in Python < 3.5. Here’s how to adapt the client example for older Python versions. Then open this HTML file in a browser. You will usually want to process several messages during the lifetime of a connection. Therefore you must write a loop. 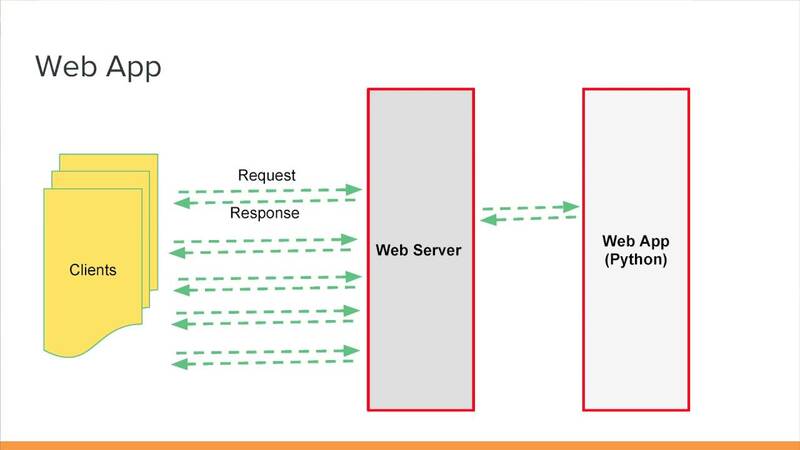 Here are the basic patterns for building a WebSocket server. Iteration terminates when the client disconnects. recv() raises a ConnectionClosed exception when the client disconnects, which breaks out of the while True loop. send() raises a ConnectionClosed exception when the client disconnects, which breaks out of the while True loop. If you need to maintain a list of currently connected clients, you must register clients when they connect and unregister them when they disconnect. This simplistic example keeps track of connected clients in memory. This only works as long as you run a single process. In a practical application, the handler may subscribe to some channels on a message broker, for example. The design of the websockets API was driven by simplicity. You don’t have to worry about performing the opening or the closing handshake, answering pings, or any other behavior required by the specification. websockets handles all this under the hood so you don’t have to. Otherwise you will encounter a SyntaxError.